Pushing Daisies Might Become a Broadway Musical – Huh. From Hummingbird Heads to Poison Rings – Collectors Weekly has a great look at estate jewelry. The Naughty Victorian Hand Book – David Malki of Wondermark “reviews” a book that’s essentially just one joke, but it’s an awesome joke. NSFW-ish. This is a Trent Reznor Song – A splendid parody by Freddy Scott. Cuttlefish Bottle Opener – Expensive, but a thing of beauty. Man, 3-D printing really is the wave of the future. Vincent Price Stamp Petition – If you’re a U.S. citizen, you can sign a petition to honor Vincent Price with a Halloween postage stamp. Rule of Cuteness #7 – “A Thing, Accompanied By A Smaller Version Of That Thing, Is Always Cute.” Especially when the things in question are jumping spiders. 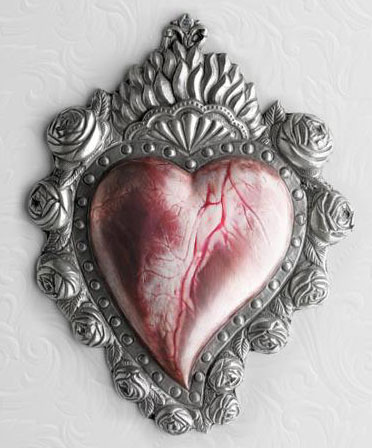 The Family Jewels – Reproduction Medieval jewelry with “naughty” subjects. NSFW-ish, depending upon your boss’ tolerance for winged vaginas. (Hat tip to WitchArachne) Edit: It looks like that section of the site is down; there are photos of similar pilgrims’ badges here. 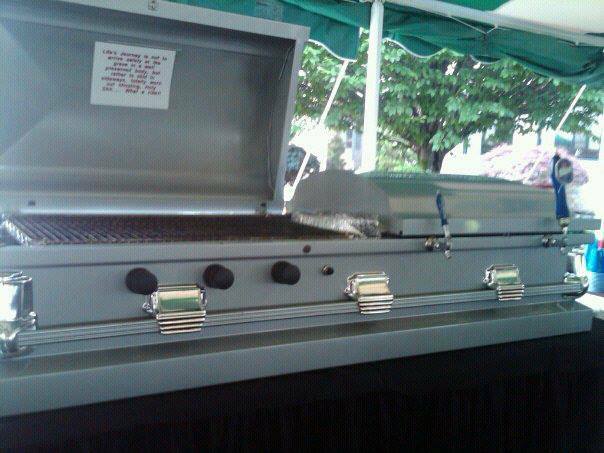 This is a barbecue grill housed in a coffin, it’s awesome, and I have no idea where it came from because all roads lead either to Pinterest or 404s. From the table it’s sitting on and the cups stacked to the right in the photo it appears to be the centerpiece at some sort of picnic or other outdoor gathering, possibly for funeral directors. Anyway, it’d be reasonably easy to DIY if you’ve got a steel casket that you don’t know what to do with. The sole place a reverse image search turned up was a Pinterest pin which cited Conjurer’s Kitchen (whom I’ve featured previously). But I don’t see these anywhere on the site, so I dunno. 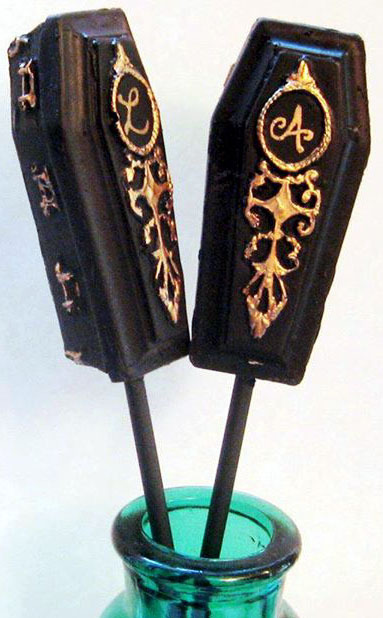 They’re lovely, though, with lots of detail, and would certainly be an interesting departure from regular cake pops. This gorgeous piece is by Pavel Roch. 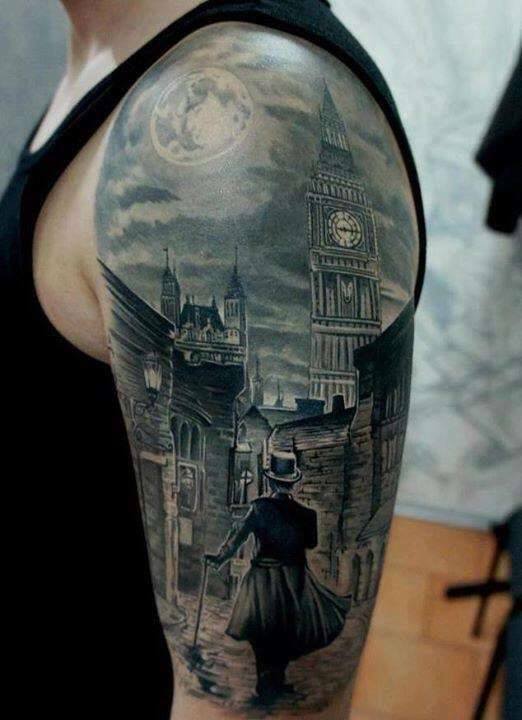 It looks more like a painting than a tattoo, and is wonderfully evocative. This is by Mister Finch, who creates marvelous creatures from textiles. 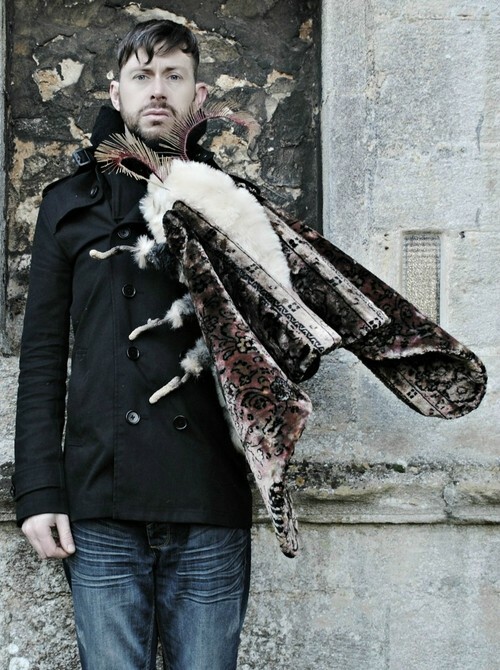 I desperately want to make a moth like this just to sort of have around the house. This was part of Prada’s Spring 2011 collection, and I’m sure it wasn’t meant to have anything to do with Halloween (although darned if there weren’t a number of other Halloween-friendly shoes in the same collection). A knockoff striped effect could be done with tape and spraypaint. Found at Build-a-DIY although I don’t think they originated there. 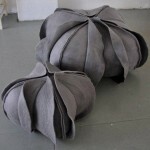 I like how these look like poppy seedpods. 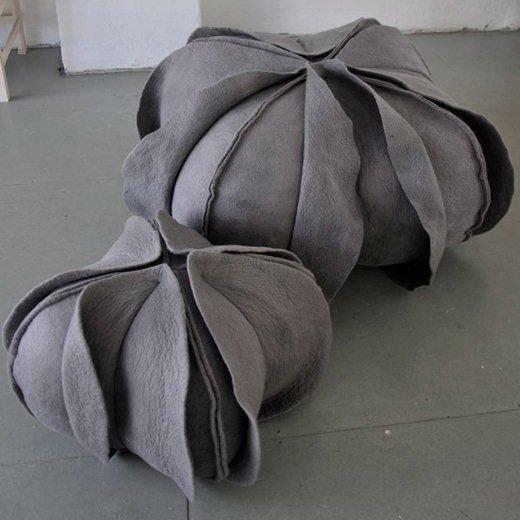 They could be made in a variety of sizes, as throw pillows or bean-bag chairs (teensy ones would make nice pincushions), and would be pretty in black or scarlet. 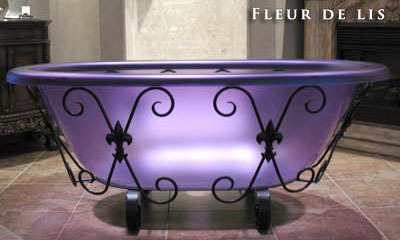 A “soaking art” tub by Jetta. This is definitely a fixture in the bathroom of my dreams. What happens after medicine finds a way to fight the zombie outbreak? David Freyne’s The First Wave is the prequel to feature film The Third Wave, currently in development. It explores the deep psychological trauma that a zombie apocalypse would inflict survivors. Red Wedding Cake – Mind-blowingly detailed Game of Thrones-themed cake. Michael Keaton Confirms Beetlejuice 2 – Awww yeah. Forensic Scientists Create the Face of Crystal Skull Vodka – A forensic artist with a sense of whimsy decided to do a facial reconstruction on a Crystal Skull Vodka decanter. The result is uncomfortably Gollum-y. Red Light Properties – Overview and excerpt of an indie comic about realtors who specialize in exorcising haunted houses and then re-selling them. Snow Queen Cosplay – This rhinestone-laden costume, loosely based on Elsa from Frozen, is just stunning. Be sure to check out the rest of the artist’s cosplay costumes too. Human Type – Creepily realistic letters with eyeballs and beard stubble. True Blood Forsaken – A True Blood-themed lipstick/nail polish duo. There’s also a Bad Things nail polish set. This isn’t precisely goth, but it’s such a brilliant idea that I have no choice but to share it. Over at She Knows there’s a splendid tutorial for making a mailable slice of cake. It’s a wonderful trompe-l’oeil whose main ingredients are a sponge and some caulk. The result is apparently quite durable and is certainly a memorable way to send a postcard. There’s a related pumpkin pie postcard tutorial which could also be repurposed as a cheesecake. Either of these would be a really unique party or wedding invitation. You could up the Goth Quotient a little by making the cake “red velvet” with black icing; since caulk is usually available in only a few colors you could either carefully tape the “cake” and paint the “icing” after it’s applied and dried or custom-color it before application. If you aren’t feeling up to making these yourself, there’s an Etsy shop which sells them pre-made. A bit pricey if you want to send a lot of them, but reasonable for a one-off where you really want to make a splash. Mixologist “Cody” of has created a collection of Disney character-themed cocktails: Several princesses and heroes, sure, but also plenty of villains. There are photos of many of his concoctions, along with their inspiration, at Incredible Things and more on his Facebook page. I love how well he’s matched the colors and garnishes to the characters: The “Hades Hatred” is black, blue, and on fire; the “Grand Vizier” is crowned with a piece of orange peel reminiscent of Jafar’s staff; and the “Sea Witch,” well, just look at it. He’s working with Tipsy Bartender to create how-to videos of each of the drinks, but until then the ingredients listed on each cocktail should be enough to get you started. 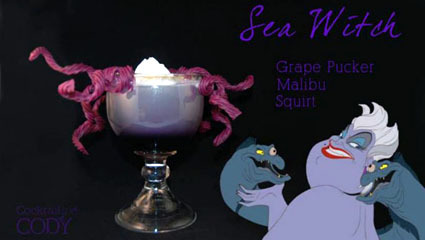 These could be the basis of a fun themed cocktail party; you could also make “virgin” versions using fruit juice or food coloring for a kid’s party. Lonesome Wyatt describes himself as “the Ambrose Bierce of underground country,” playing “the kind of music you’d hear while walking down a dirt road headed deep into the woods weaving your way through haints and shadows.” He tours solo and also has a side project as “Lonesome Wyatt and the Holy Spooks,” which specializes in murder ballads, ghost stories, and other fun stuff. Here’s “Dream of You,” which is rather pretty; their most recent release is Halloween is Here, whose title track rather puts me in mind of Spike Jones.